November 15, 2014. 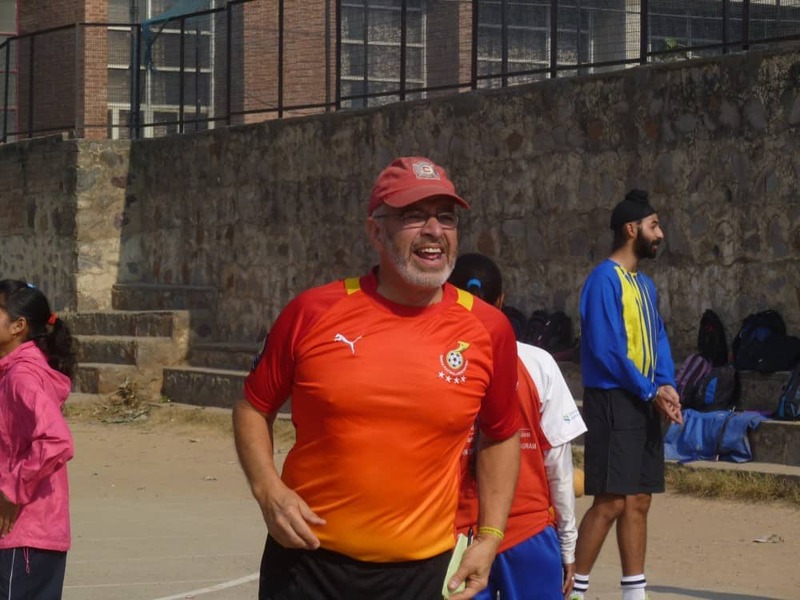 Volunteer Coach Earl Strassberger writes about the first week of his second stint On-Field with CAC, last year in Cameroon and Ghana, this year in India. 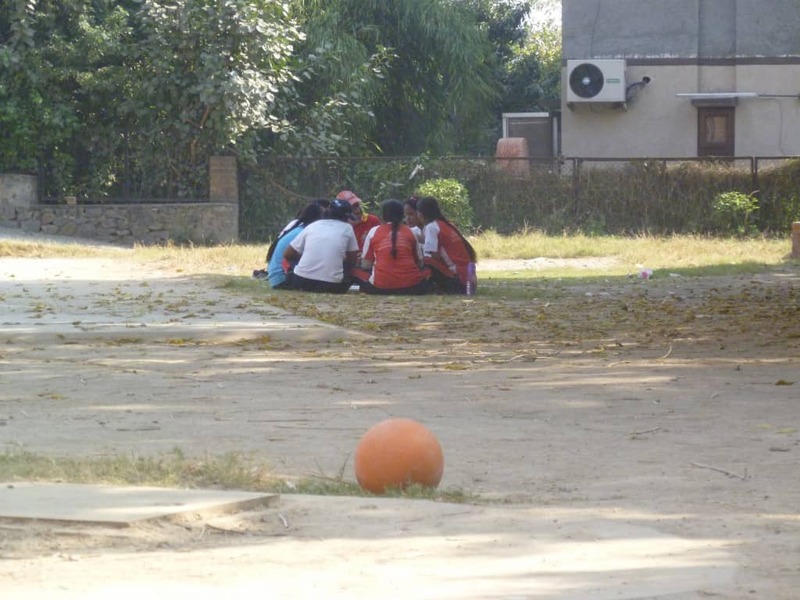 We are working in Delhi, with a group of 33 young ladies. They are of college age and are the most confident group of young people I have ever met. They are energetic, athletic, and polite. They speak up. They listen to others. They support each other. Coaches Across Continents (CAC) worked with most of these young ladies last year. They clearly remembered much from last year. I can see why. When we are teaching in a classroom setting they have pencils and notebooks. During water breaks they take out their notebooks and write down the names and descriptions of the games they just played. They are able to concentrate. In fact, as I am writing this we are having a discussion of a child’s rights in a school room that doubles as a gym. There is a class of adorable six year-olds learning dance moves. Our girls are not distracted. They gain their confidence in a number of ways. One is by learning to speak up. The girls all play netball. As with any sport you must warm up. We use a CAC game called Circle of Friends. The game involves moving to the center of the circle and back out. How they move is determined by the leader. It could involve high stepping; running; side to side movement; etc: But it is the other purpose that is so important. When they go to another person they slap hands and scream out their names. They use their voices authoritatively. Note that the leader changes what they shout out: For example; the second shout could be the name of their favorite team. We may have them do a silly handshake instead of high fives. But the most fun is having each pair jump, bump, and shout, ¨boom shakalaka¨. They love it! Last year I was in Cameroon with Brian. We just arrived in Buea and were walking through town when a coach saw Brian and shouted, you guessed it, boom shakalaka! The second way these young ladies gain confidence is through learning how to play netball and being on a team. They are good at it! After one practice we played a game with them. I repeat, these girls are good players. The third way they have gained confidence is because of the fantastic support from our partner organization; the Naz India Foundation. These girls are lucky to be in this amazing program. 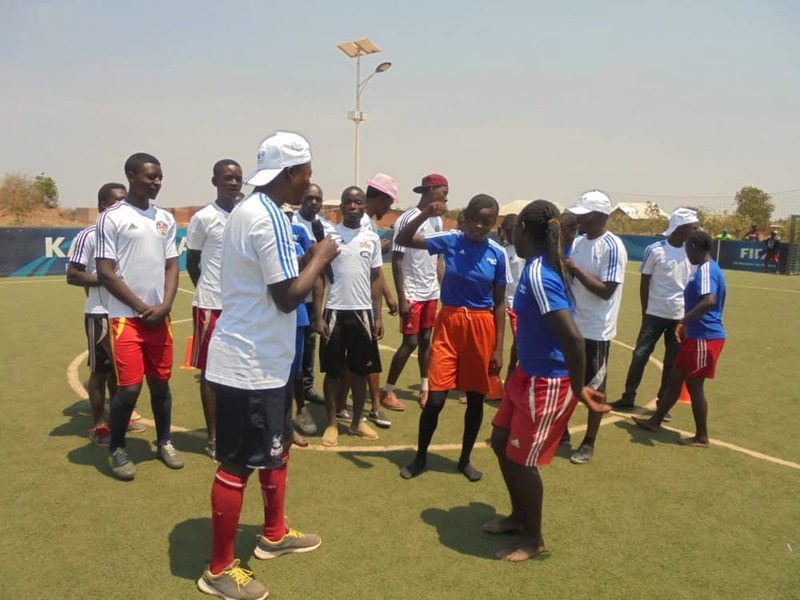 Naz uses games from CAC’s Goal On-Field curriculum developed in partnership with Standard Chartered Bank. The girls proved themselves over the last two days. First they got into groups of four or five and then they spent an hour thinking of problems in their communities. After that we asked them to create a CAC-like game to send the message about the problem. The next day we watched them conduct their games with the children of the school where we did our training. Each group had its challenges. One was a group of about 30 boys and girls about eight years old. Another was a smaller group, maybe only 15, but all fourteen-year-old boys. The girls took charge. They had the kids playing their games. They held discussions about the problem and the possible solutions. It worked, the kids were engaged and our girls experienced more success. Note that Naz is much more than some games. The girls start out as participants in a 10-month program. It is a women’s empowerment program offering weekly sessions to adolescent girls who may or may not be in school and whose families have low income. They learn netball and life skills such as health, rights, communication, and financial literacy. The second year they become peer leaders and community sport coaches. They are assigned to a school and coach groups of kids; sometimes as many as 200. They receive a stipend for this work. The third year a very few, the best of the best, get paid positions as netball coaches and life skills trainers. We had Pooja and Amrita working with us. They were professional in all aspects of the Naz and CAC programs. Other graduates of the program have found jobs with Standard Chartered and other corporations. By the way, Naz also runs an orphanage! What a wonderful organization. Their participants will create positive change in India. On a personal note; I am a retired school teacher. Working with young people always makes me feel younger. Working with the CAC staff; Sophie and Billy, and our community impact coach, Guru, is terrific. They make it easy to be successful.